We love the freedom of not having to work with closed ecosystems! Especially in the e-comm space, all-in-one systems can be quite rigid and uncomfortable to work with. Jean-Seb Tremblay, developer at Snipcart, agrees 😉 and shows you a custom alternative. 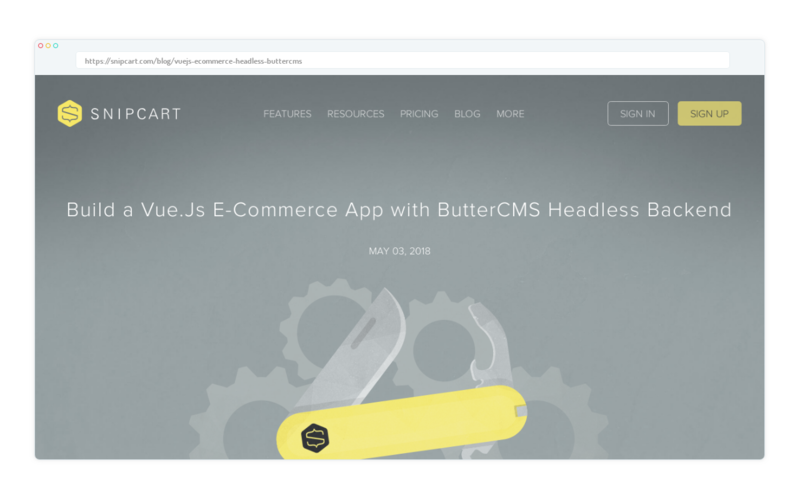 He wrote a tutorial on how to build a custom e-commerce app on top of headless ButterCMS as a backend, Vue.js for the frontend and Snipcart as a shopping cart platform! Take a look at the tutorial, the GitHub Repo or the Live Demo of the Project!